Now if you are anything like me, you just love when the Great British Bake Off starts on the TV again. So when Wellybix said about reviewing their Bake a Bone range we just had to say yes. 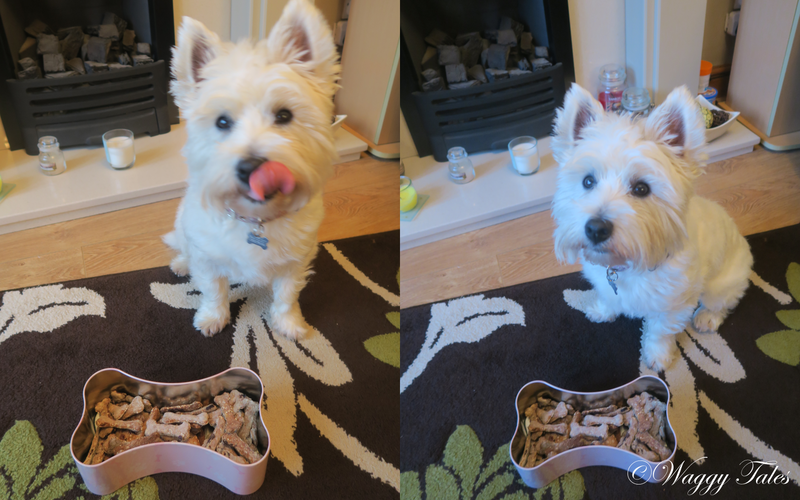 To tie in with the Bake Off, we really wanted to try out their Bake A Bone range. I always find it really fun baking for Lottie, as I'm not a keen baker having all the dry ingredients needed, really made things easier. The idea is that by having the dry ingredients (flour, oats etc) all you have to do is add the wet ingredients which in this case is egg (and water if needed). 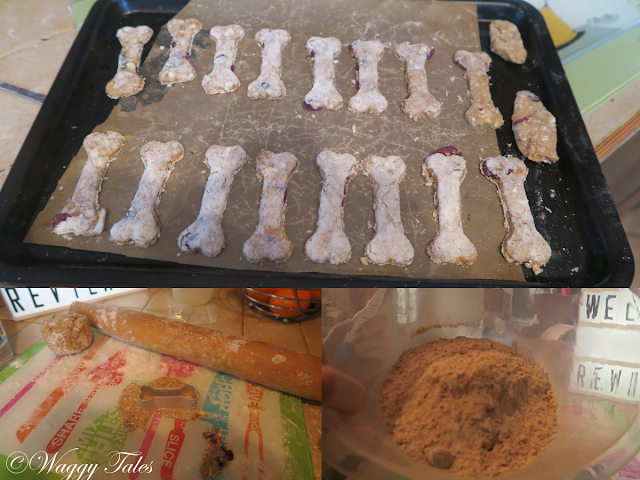 We received their Bake A Bone box, in the Cranberry with Oat and Thyme variety. They also two other varieties which you can check out here. In each box you receive two bags of the dry ingredients and a bone shaped cutter, along with full instructions. Bake in the oven at (160c/140c fan) or gas mark 3 for around 20 minutes, turn carefully over and bake for a further 10 minutes. Take out of the oven and allow to cool before storing in an airtight container. As you can see from the instructions they are really easy to follow and carry out. We managed them with very little problem (apart from adding a little too much water, but that was soon rectified by adding some flour). See our video below, for the full process. If you have watched the video above, you will know we loved them! They were super easy to make, and made our kitchen smell divine. Its great to be able to see the ingredients list in the dough. I was also really impressed by the amount of biscuits the dough made, I managed to get around 54 which is great value for the price. Ok, they may be a little more expensive than shop brought biscuits, but at least you know what is in them and we had great fun making them, much better than driving to the shop. Lottie defintely gives them a 5 paw rating in her taste test. She just kept begging for more! Ive made her biscuits in the past and she just wouldn't touch them, so clearly these must be very tasty. 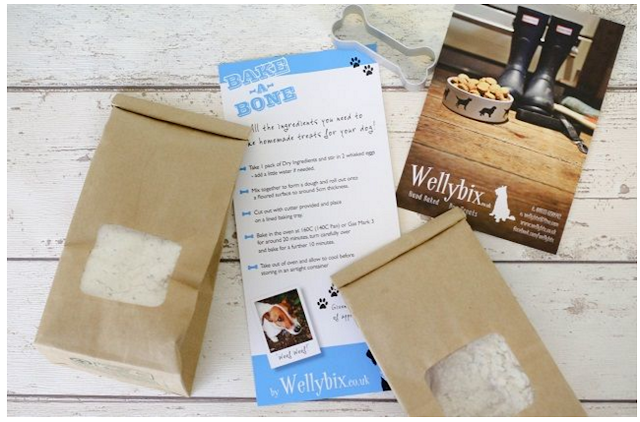 We received a Bake A Bone from Wellybix at no charge in exchange for our honest and fair review of their product. All opinions expressed here are our own and truthful!